Its a cozy apartment located in the city but you wouldn't feel the hustle and bustle of the city thereby giving your much needed vacation a quite moment. The entire city could be viewed from the balcony .The place is spacious and has a good ambience to it. Make yourself at home by cooking your favorite meal or by just relaxing with a book or all the better by catching up with your family and friends.Its around 8 km away from the train station and about 7 km from the airport. All 3 bedrooms are Air conditioned. Free Parking is provided for one car inside the building complex. Hi speeed internet via wifi is available. 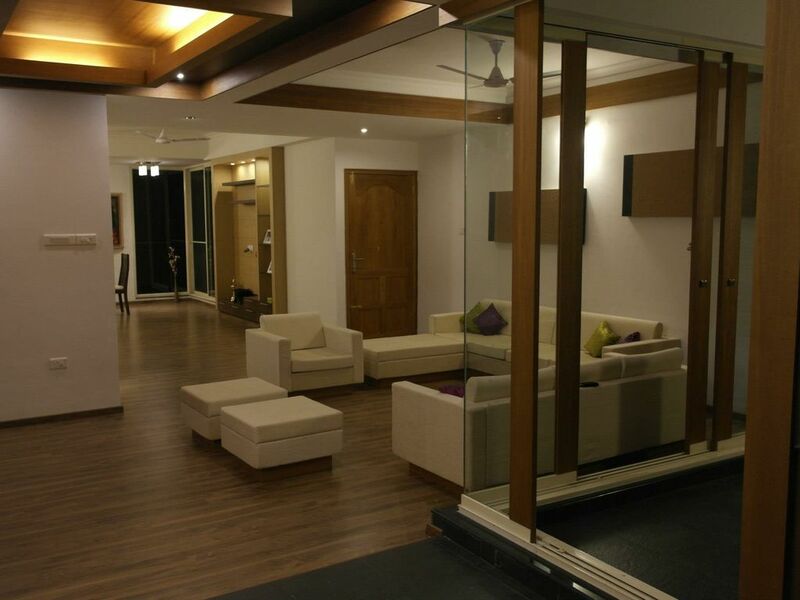 The large spacious cozy living room is bound to make you sit and enjoy time with your loved ones. A fully functional kitchen as been set up so you feel right at home by cooking your favorite meal right at the home stay. The entire place is accessible by wheelchair.